~~GuRu bHaI~~: A Chota Cup of Philosophy! 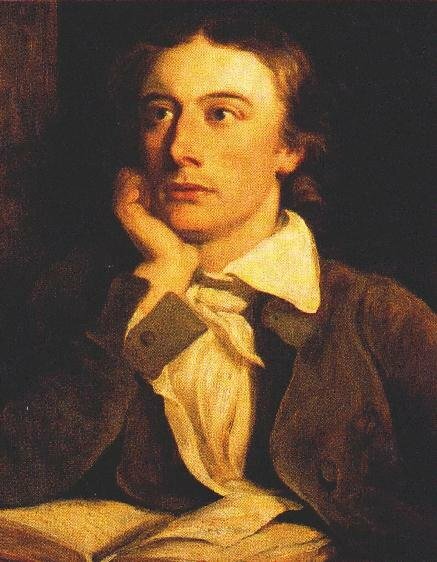 Above lines were inscribed by John Keats on his popular poem “Ode on a Grecian Urn” which went viral and inspirational on the minds of people throughout the centuries. Tons of interpretations and reviews were done by many literary geeks on the line “Beauty is truth, truth beauty”, but still the precise understanding seems to be ambiguous. I have gone through multiple explanations by literary intellectuals and had many discussions with great people all through my life and got my own rendition for those lines of such a greatest gentleman of the literary era. These lines basically emphasize on the identities of “Truth” and “Beauty” of human life. According to the author, the real beauty lies only if anything is holistically true. Also, falsehood cannot deserve to be beautiful. This philosophical saying holds good in almost all walks of life in all means. The crux behind this philosophy is that only true things could be manifested as beauties and mere external beautiful appearance is not ample to shroud the ugliness composed inside. Let me bring out my perception towards this life centric philosophy. According to me, life is all about impressions. The more you do it, the more you are deserved to stay live. My inner self has discovered this mantra from all my bitter and better experiences of my life so far. If you contemplate much in ascertaining the source for the impression, you would end up in obfuscation. The reason for the obfuscation is whether "Beauty" brings out the impression or the "Truth" does it. But in an intense interpretation, "Truth" and "Beauty" are synonymous to bring up the impression. Let me depict my justification more. Science is the universal axiomatic mean of rationalising our perceptions. So, let me follow up the glimpse of science in my vindication. Before getting into a scientific narration, let me first disclose the definition of “Attitude” in my own thesaurus. Attitude is just like a mental spectacle through which we see the existing things in the world. So, everything depends on one’s attitude which literally adds the sense to all the perceptions of a human. Hence, attitude plays an essential role in framing an impression on the existing things. According to the scientific norms, human attitude is based on two means. First one is physiological and the next one is psychological. Physiology in this sense corresponds to the perception with physical orientation on the existing things and psychology refers to the mental orientation on them. If you are a kind of person with physiological attitude, the external delicious appearances would impress you more by obscuring the unrevealed realistic attributes of the entity. Sometimes, you would be in fact least bothered about the falsehood behind the beauty. On the other hand, if you are a person who prioritizes the mental perception in interpreting things, you would be impressed only by getting to know the entity with better intense lucidity in its extent of veracity. So, your actual evaluation becomes completely composed only if your contemplation about the things encompasses both the orientations of the things together. Hence, the evaluation of any entity is complete only by validating the truth and the beauty as well. Now, from the above elaboration, I could say that only true things could be beautiful. Also, things would be beautiful only if they are intensely genuine. Hence, my justification is almost inclined towards the understanding drawn from Keats’ golden lines. So, always stick to beauty in all means which is eventually tailed towards the “truth” in all walks of life!